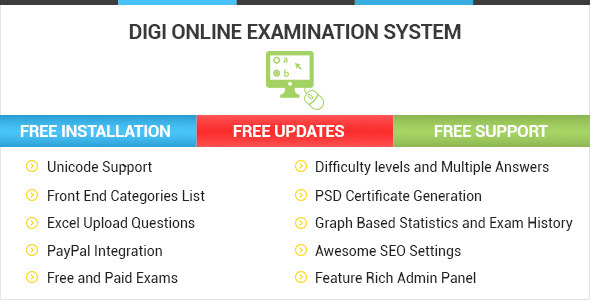 The Digi Online Examination System is a platforms that enables all kinds of exams to be written on the computer. We offer great support and friendly help. The DOES is excellent for universities, colleges, schools, training institutes, organizations and recruitment agencies to conduct online exams. It also supports YouTube videos, and images to create questions for online exams. Built with CodeIgniter, the most powerful PHP framework makes people to customize DOES system according to their requirements.